I remember back when I was in high school, and I heard “Good” for the first time on the radio. The soaring chorus, the driving guitars; I was hooked. A while after that, “Desperately Wanting” graced the airwaves; and I was doubly hooked. Now, cue “A Lifetime,” the first single from Better Than Ezra’s latest record Before The Robots, and I’m caught; hook, line, and sinker. 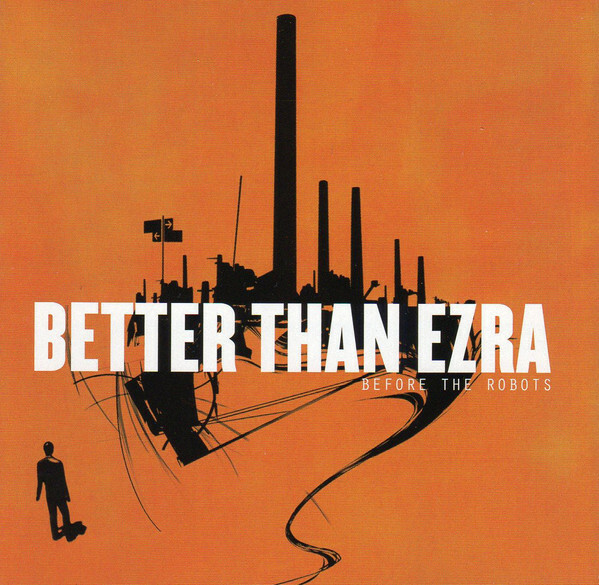 The boys of Better Than Ezra have been making fantastic music for a long, long time now. If the new single “A Lifetime” sounds somewhat familiar; that’s because it is. It was first released on their 2001 album Closer; and has become a staple sing-along at almost every BTE concert. Their old label folded soon after Closer hit the shelves, so the band decided to re-do the tune for Robots: finally giving it a well-deserved chance to be heard by the masses. Before The Robots is also home to another fan favorite BTE tune: “Hollow.” This song has been kicking around fan circles in some form or another for God knows how long—it’s just taken this long for it to find a suitable album for release. “Hollow” is an amazing bit of storytelling that follows the lives and developments of a few high school friends as they make decisions, and mistakes, that will affect and change the course of their lives. It’s a great tune, and makes for a nice little rock-out before the two album closing ballads. As far as style goes, Before The Robots finds lead singer-songwriter Kevin Griffin dipping into all the lessons they learned on every album they’ve released. It has the eclectic ness of Closer, the rock of Friction, Baby, the experimentation of Deluxe, and the guts of How Does Your Garden Grow? This is the album Better Than Ezra has always wanted to make. It’s accessible enough to hit a homerun on the charts, but still quirky enough to suit even the most stalwart of BTE fans. Highlights include the new rendition of “A Lifetime,” the two album closing tracks “Our Finest Year,” and “Breathless,” the aforementioned “Hollow,” the quasi-social commentary “American Dream,” and, most notably, the stunningly gorgeous “Our Last Night.” The amazing “Our Last Night” just goes to show that Griffin still has the songwriting chops that put him on the map way back when “Good” hit the airwaves for the first time. It’s just a gorgeous song. Before The Robots is a return to form for a band that never really lost it’s way. Maybe with this record, Better Than Ezra will, like their song “A Lifetime,” finally get the recognition they so desperately deserve. Go buy this. Now.